It has stickers. Scratches on right side from fall. Over 2000 miles. Very rare in Tampa. Stolen from my house in City Park West. Has two stickers on the back that read DirtBag and Life will be the Death of Me. Has chrome rack on the back and black interior basket. Very missed!! 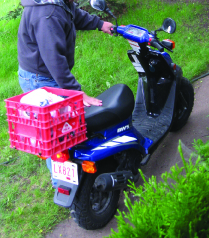 stolen out of shed at Jellystone Campground. Stickers on back-small white flower, the number 308. flower sticker on front. stickers likely removed. any info helpful. thanks! 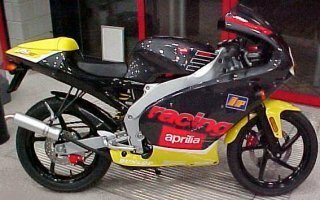 The most noticeable thing is it has a bright yellow hub on the front wheel! It has chrome front and rear racks. A messed up headset and speedo. 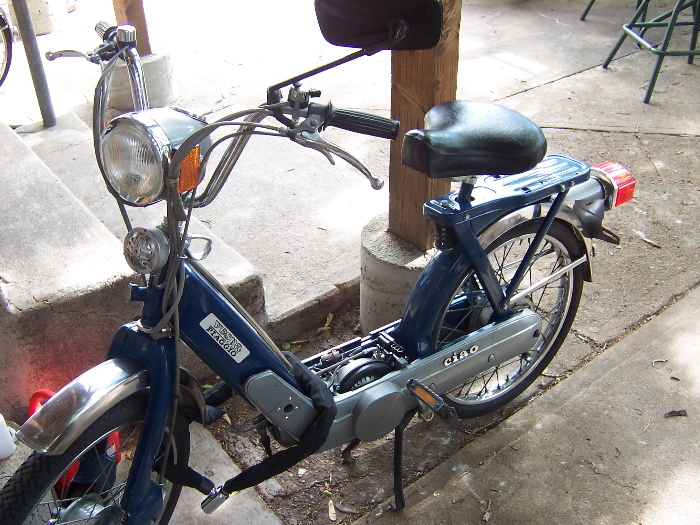 It was stolen from the front of my house, chained to the gate on South 4th St. Any info will help. REWARD. Stolen From Riley childrens hospitial of Indianapolis. 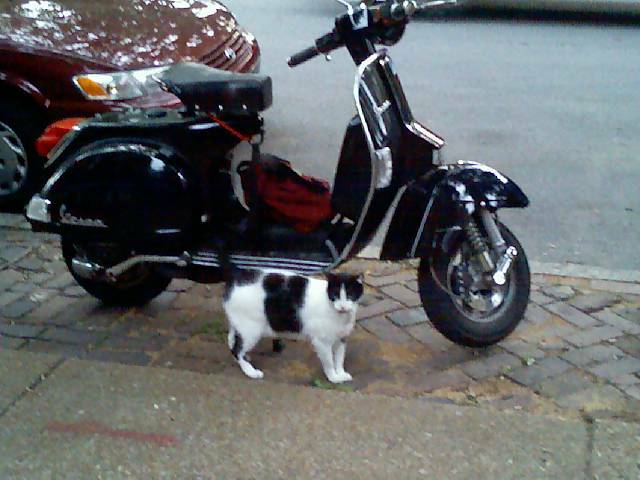 My moped was parked and locked next to my porch by ellesworth and logan street. I haven't been on it for a few days and checked on it noon today, october 17th. it was snowing. 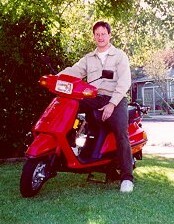 the moped is gone. last seen yesterday by my boyfriend, so it must have been taken sometime after that unless he is mistaken. it is pretty rare and in really good condition with details only i could recognize. 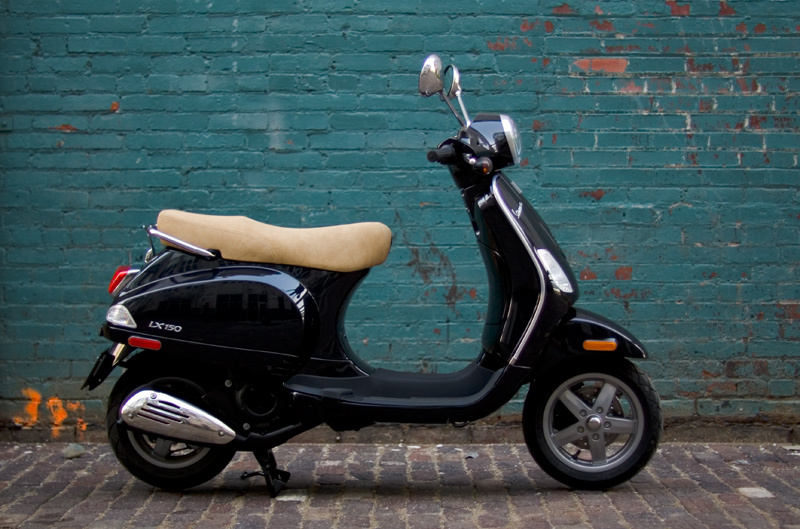 just incase, there is a little red gas can tied to the back of it with a purple and a black bungee. one pedal is really sharp and the other is not. also, the choke button looks like it's in the wrong place because the engine is newer than the engine lid. ok, enough details. i am searching for the serial number right now, the person who sold it to me moved back east. it might take a day to find the information. sorry i did not register it. i am sorrier than ever now. ps: i have a photo. 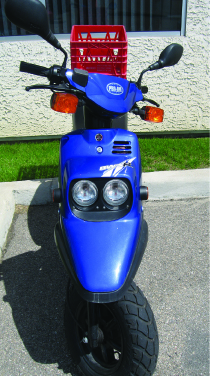 custom blue front fold-down pegs locatd on the forks to replace original broken foot pegs. 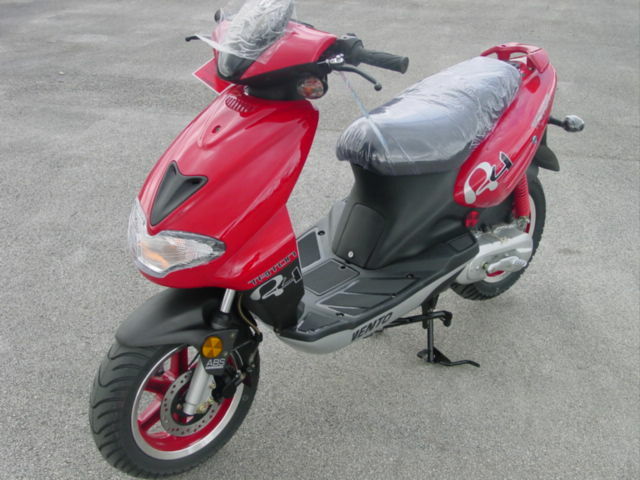 Stolen From 4701 Millersville Road APT #9 Off Keystone North Side Of Indinapolis Engine # VE1E40QMB62000903 Reward! Parked and locked to bike stand in motorcycle bay in Maygood Street N1 (diagonally opposite the police station in Tolpuddle St)at around 18:30 gone by 20:45. 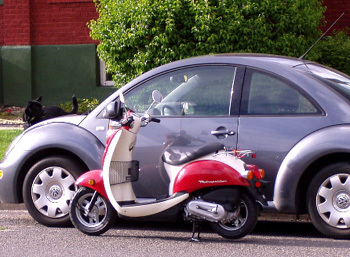 Has steering lock and immobiliser. 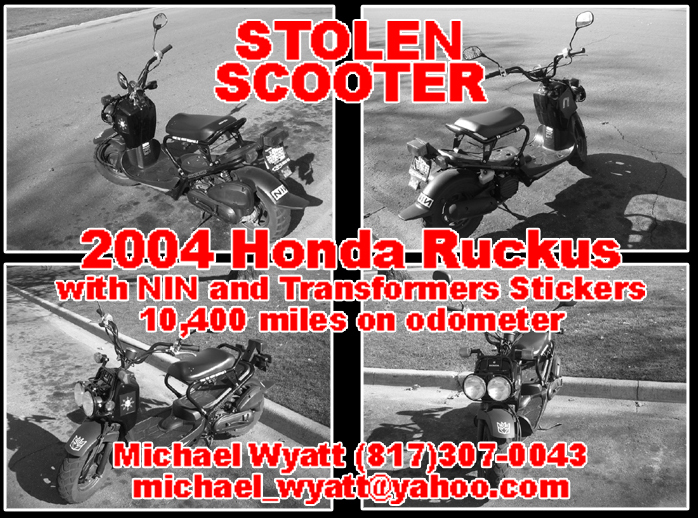 Stolen from garage of my apartment on Delmar right next to 170. 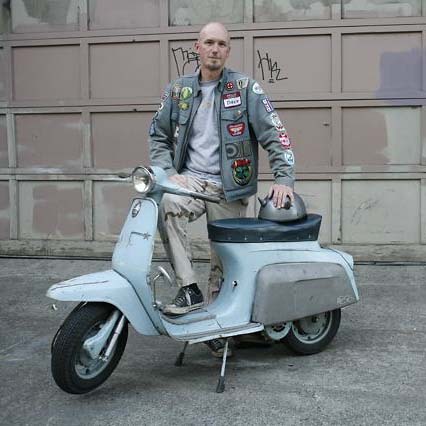 Scooter has a scratch on the left hand front side that is easily visible due to previous fall. 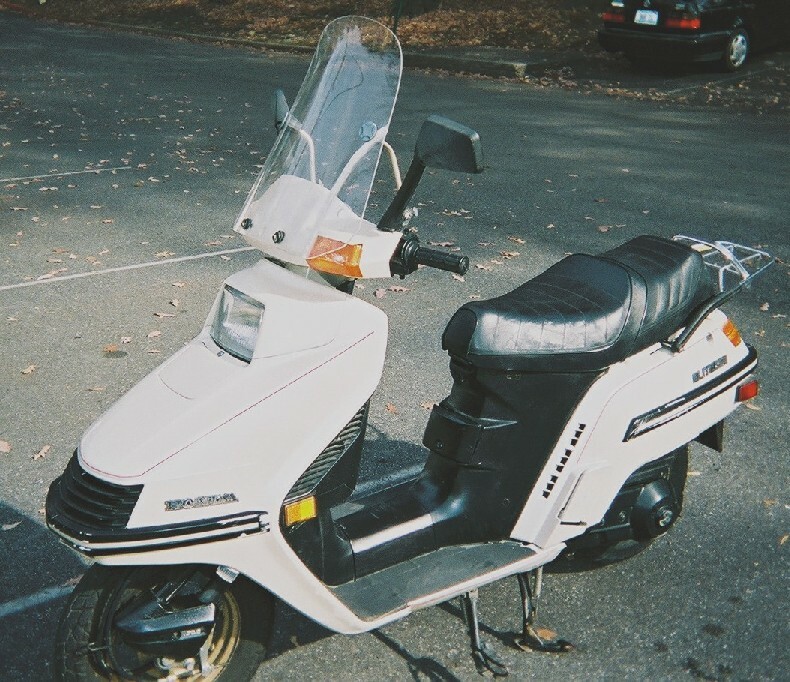 It was stolen out of my apartment complex on Park Road. Parkhill Condominiums. 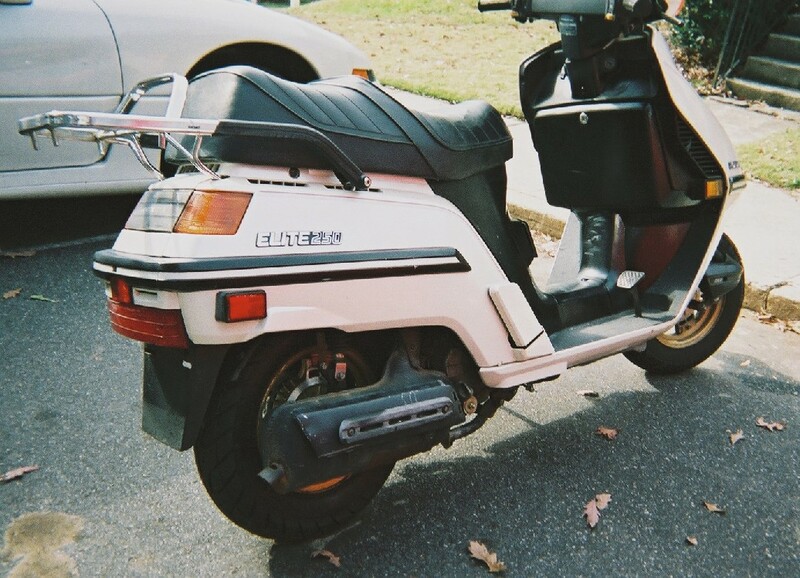 Stolen from the Sellwood neighborhood. 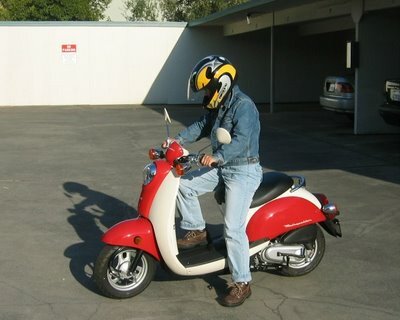 It's not a scooter, it's a moped! 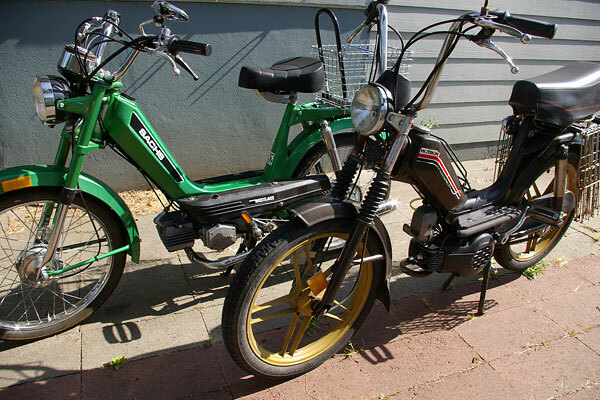 Mopeds aren't too common so it should be pretty easy to spot. It has a kit and pipe so it should be kind of noisy. There is a $100 reward, no questions asked. 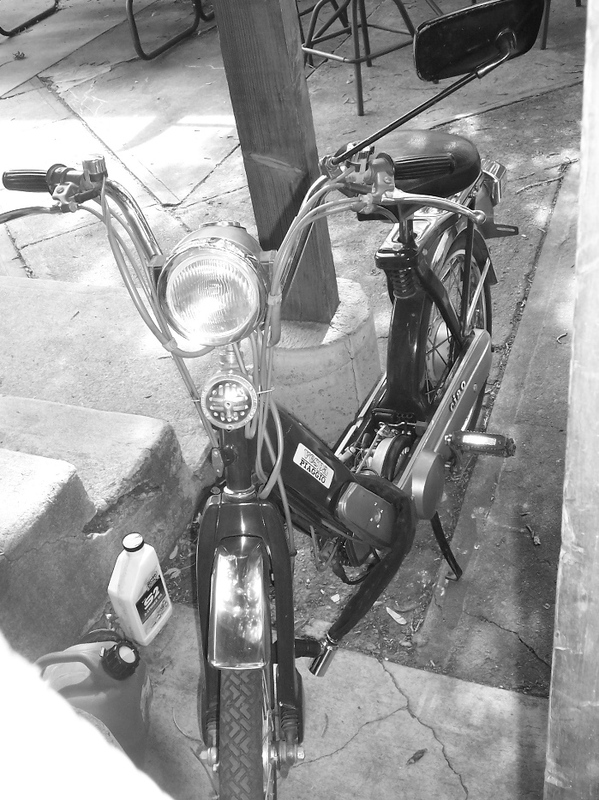 The baskets are no longer on the bike. 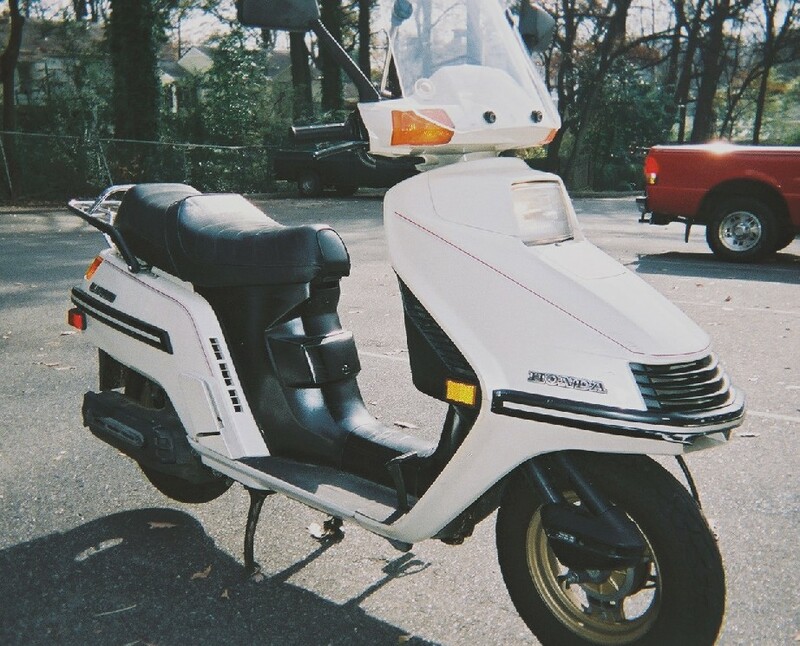 It got stolen in broad daylight In front of my work on the second day at my new job. they used bolt cutters on the chain and would have hadto break the kick stand or the seat to release the kick stand lock. and hotwire it. KWPD Case Number 06-5541 Approximately 6,012miles on Odometer. 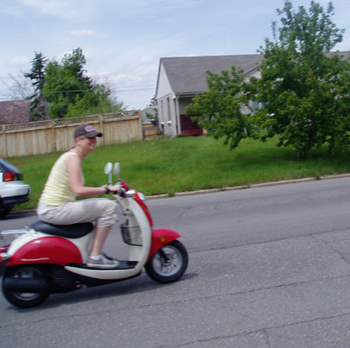 Scotter was stolen in Sandalwood in late July in sadalwood. 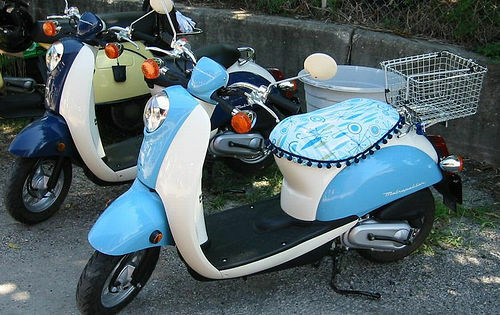 The Scooter has 2 blue pieces of roll tape near the gas lever and the seat has holes (rips). 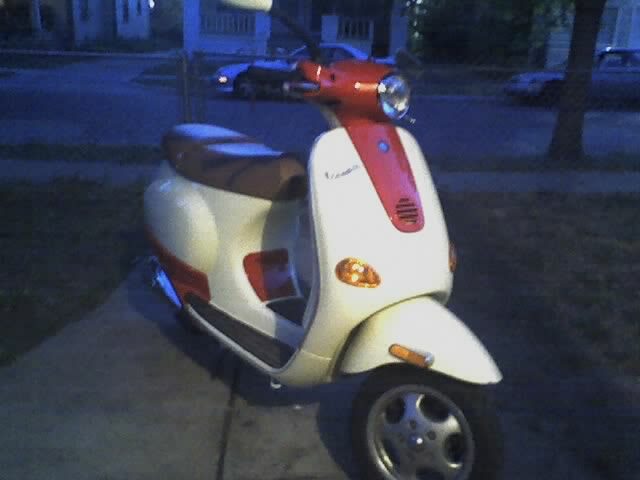 If you see a Riva somewhere in ann arbor area and aren't sure if it's mine, still e-mail me, I will give you a reward. 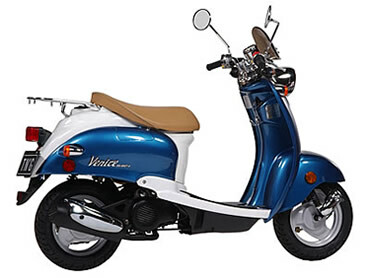 Stolen from the motorcycle street parking spaces near downtown Portland at SW 17th & Morrison near PGE Park stadium between 6:30 & 9:15 PM. My scooter was stonlen overnight on Columbus and East Wacker Drive. Stolen out of my driveway in the middle of the night. Kick stand and steering column locks were engaged. 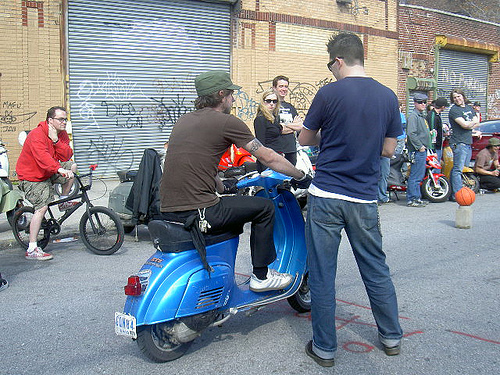 stolen green vespa et2, had front fender damage. 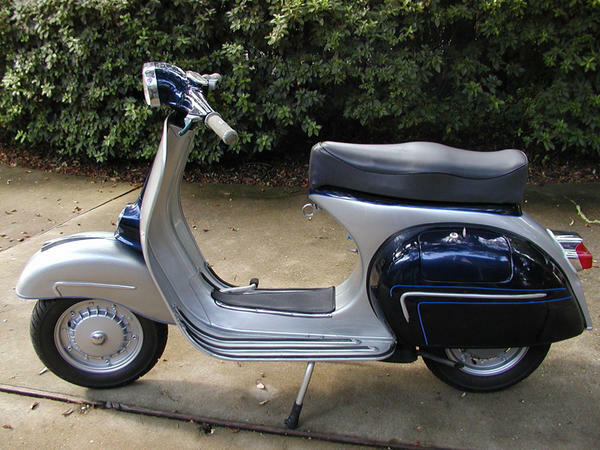 had clear taillight lens's, large mod windscreen and front chrome rack. also rare black glove box instead of the green one. 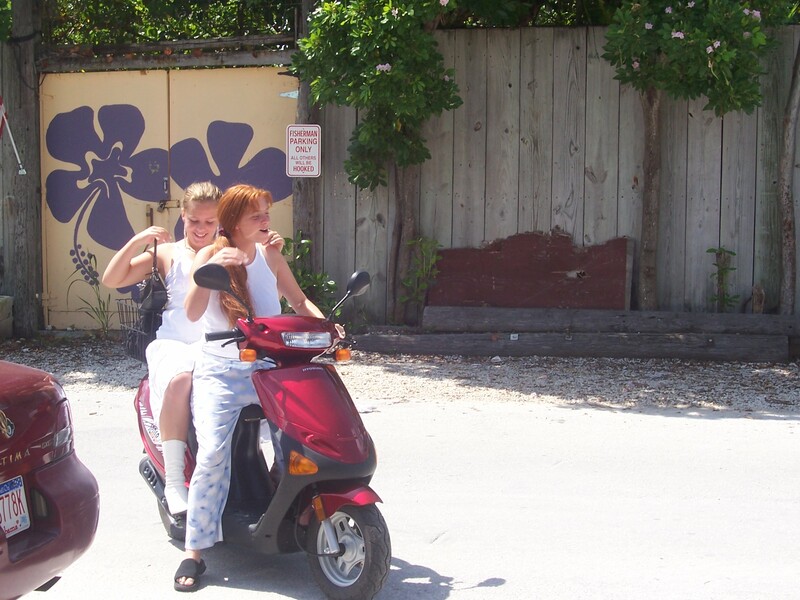 Scooter was stolen from condo complex where I live. Report filed with Manchester, CT police dept. 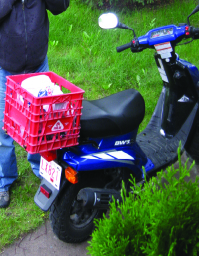 A 2002 Yamaha CW50, Stolen sometime between Aug 7-8, in the evening, Parked on the street in front of my house in Renfrew, Front wheel was locked, Registration and insurance were locked under the seat, Red Palm dairy milk container was strapped onto back, License plate no. LX821. 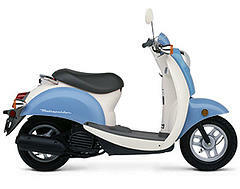 has a black bordens milk crate on the back and a charlatans uk sticker on the inside of the right side.